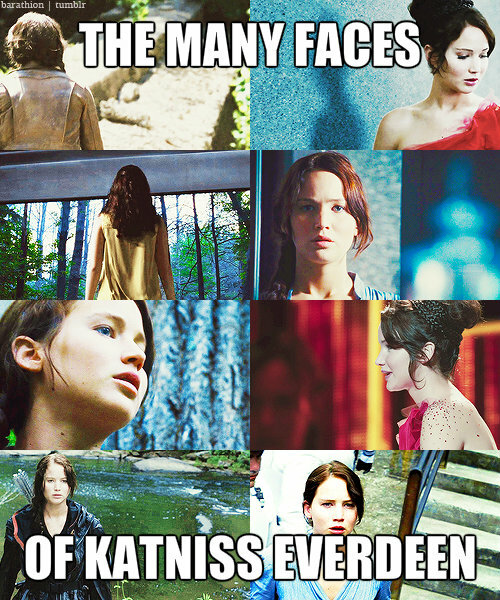 The Many Faces of Katniss Everdeen. These are the faces of Katniss. Wallpaper and background images in the 凯特尼斯·伊夫狄恩 club. This 凯特尼斯·伊夫狄恩 fan art contains 动漫, 漫画书, 漫画, 卡通, and 漫画卡通. There might also be 报纸, 纸张, 杂志, 小报, 抹布, and 纸.